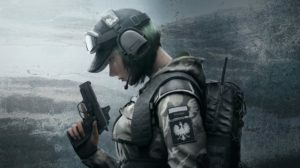 In recent months, Ubisoft’s Rainbow Six Siege has grown in player-base and popularity, and the esport is really starting to find legs and infrastructure within the industry. However, Siege is an incredibly tactical game that, to new players, can be daunting. The multitudes of operators, the destructible walls throughout every map and the multi-faceted verticality of the game are all features that can be very difficult to grasp. 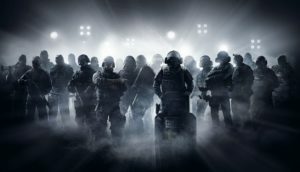 Here, I’ve collated a list of some of the main tips that I would recommend for new Rainbow Six players to get the most out of the game before eventually jumping in to competitive play. I know tutorials aren’t “cool”, or ever particularly fun, but in Rainbow Six they are almost imperative for starters to learn some of the maps and the operators and equipment available to them. There are elements of the game that you won’t find in almost any other first-person shooter, and you’ll become seriously unstuck if you go into a Casual game with no clue how the game plays. Not to mention, you earn 200 Renown (in-game currency) for each of the ten situations you complete, moving you closer to buying new operators as you progress through the ranks. Speaking of operators, your choice of operator can be the deciding factor of the match before it even starts. I recommend playing with each one at some point to familiarise yourself with their weapons and their abilities – after all, there’s no better way to learn than to play. 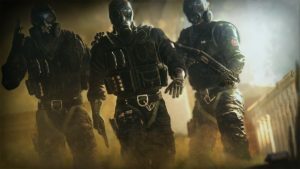 Obviously, some operators have higher or lower pick rates across Pro League, Ranked Play and Casual due to their abilities, but it is recommended to try even the less-popular ones when you start the game. Just don’t be the guy that picks Rook and doesn’t drop the armour at the start of the round. The destructible walls are what make Rainbow Six so different to any other FPS game. 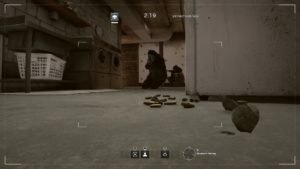 The fact that you can blast through a wall to reach a bombsite or the hostage opens the game to a whole new layer of tactics and interesting mechanical plays. As an attacker, you could try out Sledge or Buck to break down walls between you and your objective. Alternatively, when defending, you can reinforce the walls most likely to be attacked and set up to prevent this from happening. You may use Pulse to see through walls you suspect someone is going to break in to, or pick Valkyrie to throw some cameras down pivotal lanes and pick off enemies before they even have the chance to break into your site. Drones are criminally underused by players, even in Ranked, and this is something I’m certainly guilty of. As an attacker you get two drones: one which you start the round occupying, intended to scout out the map, find the objective and scout out enemy positions. The other you get following the “drone phase”, usable at any time throughout the round. Ideally, you want to get your initial drone set up tactically to be around the objective so you (or teammates) can look through it and make decisions based on which operators are in or around it. But be careful – your drone is destroyable, and if the enemy takes it out it’s almost like having one less player on the battlefield. Your second drone is to be used throughout the round, ideally before vaulting through a wall or running through the hole your helpful Thatcher teammate blasted out for you. The last thing you want is to run aimlessly straight into the barrel of an enemy gun when you could have simply droned the room and prepared to get the first shot on them. Teamwork is incredibly important in Rainbow Six, especially when reaching Ranked and beyond. This isn’t necessarily a game you can solo-carry your team to wins in every game. That said, you want to play around what your team are doing. If you’re defending and your whole team has taken a bunch of 3-speed operators that you know will be running aimlessly around the map, use someone like Mira or Echo who can sit back and hold the objective, preventing enemy players from getting to it. On the attacking side, you might simply want to see which of your teammates has the defuser and go with them if you’re playing Bomb. Often teammates all split at the start of the round, but guiding your defuser into the bombsite to play the objective can easily swing a round in your favour. If not playing the Bomb game mode, make sure to take tactical equipment such as claymores or flash bangs that can assist your teammates when challenging gunfights or to watch their back. As with all online multiplayer games, one of my most important recommendations is to go in with a friend or two (or four if, unlike me, you have that many friends). Learning the game becomes ten times easier when you can go through it together, and it also means you can communicate with your teammates about where you’re pushing, which operators to use or which operators the enemy is running. Using the callouts made available at the bottom of the map, players can take some time to learn the make-up and callouts of each map, and for a game that has so much depth, this becomes increasingly important the more you climb up the ranks. So go out there with this guide and get involved!